Please accept our appreciation for the investigation of your good office into numerous complaints over years now, concerning the health, economic, environmental and legal/judicial degradation due to the proliferation of industrial wind in Ontario. The North American Platform Against Wind Power represents over 370 groups and tens of thousands of individuals, and liaises daily with European counterparts, numbering in the thousands of groups, in our networks world wide. From this perspective, we can view that the problems around industrial wind power are not local to Ontario, as suggested by a CTV news reporter some years back and by developers, but are universal, and regrettably, emblematic of an industry that has zero controls, which is coopting governments to enhance profits: profits concentrated in the hands of few, and with no net societal benefit. Please see our recent “Whereas” Document, calling for a moratorium, attached. (World wide, in 2014, industrial wind produced a mere point two of one percent, net zero. Without subsidies, loans, guaranteed loans, tax incentives, there simply is no industrial wind proliferation. It is an obsolete and nonsensical, intermittent source, always needing 100% backup from fossil fuels or nuclear, or hydro power. The cost of wind power (an oxymoron) to Ontario is estimated to be about $110,000,000,000.00 (One hundred and ten billion). And we are reminded weekly that Ontario dumps excess power to the US, in 2o13, at a cost of 1 billion. We know from our colleagues that you have been inundated with complaints. 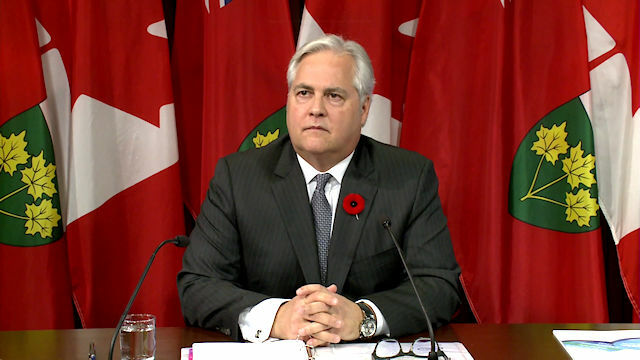 The sheer volume of these complaints reflects the desperation felt by Ontarians. The topics in this matter for your office are far reaching, from Municipalities in General, Municipal Meetings and irregularities, conflicts of interest, Health, Law and Order, Environment and Energy, to Money and Property. It is clear to us that the entire machinery of the province has been contaminated by profit taking at the expense of the people. The public trust has been seriously broken. Indeed, we have in Ontario an “opera” of ethical failure. At no level has there been compassion or relief. Officers charged by law with protecting public health, water safety, ignore, or bluntly turn away concerns. The list of approved projects on the Ministry (Environment) website gives your office access to a host of impacted persons and communities. NA-PAW has interfaced with most of these impacted communities, at some juncture, certainly along with other activist groups in Ontario. If you desire and request, we can suggest persons to interview from across Ontario. Likely you already have done so. Please also consult with Barbara Ashbee, whose knowledge of impacted persons is without peer. Pauli Sommer also has knowledge and trust of impacted persons, and will be a very useful source of information that you can absolutely trust and confirm. The Medical Officers of Health protest that there is no harm: Municipalities and Boards of Health sometimes provide informal or other hearings from impacted residents, but as in Huron County, excuse or release from duty, those who are sincerely accelerating responses to the dire health impacts reported to them. (Dr. Janice Owen, Acting Medical Officer of Health, Huron County: Please see this link for details and additional questions about why officers of health are being removed, from WI to Ontario.) Similarly, The Shirley Wind project, Brown County, WI, has experienced great notoriety when the Board of Health faced upheaval upon the decision of the Board that the project was “a Human Health Hazard”. This decision reverberated world wide, and a now familiar pattern of removal of personnel occurred. However, Dr. Jay Tibbets, who chairs the Board, indicates that he has no doubt that the health impacts as recorded by 11 residents are turbine induced.